Many may not think of Goodwill as a place for trendy pieces, but I absolutely adore that store. Not only is it insanely affordable, you can really dig up some cool vintage finds. I’m quite new to the whole thrift shopping trend, but I have to say, I’m totally addicted. Even though I’ve only been there 3 times, oh gosh, if you were there, you would’ve been shocked by how full my cart was. Haha…. After years of wearing skin tight shirts and fitted jackets, I finally got bored of them and fell in love with the baggy sweater look. If you are into loose fitting sweaters, I would totally suggest you to check out your local second-hand stores. I definitely found many cool pieces, so without further ado, here they are! First of all, I got this baby pink sweater with flower details around the top. 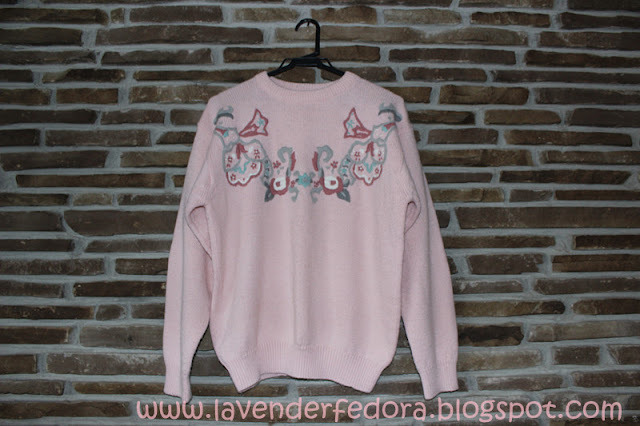 The beauty of baggy sweaters is heck, who cares what size it is, the larger, the merrier :P You might dislike thrift stores because you thought it’s quite gross that someone already wore it. But to be honest, if not for the style and place I got it from, I wouldn’t be able to tell it’s been worn at all. They’re all quite nicely kept and from what I can see, very clean! Best of all, it was only around $3!! You can never go wrong with that! 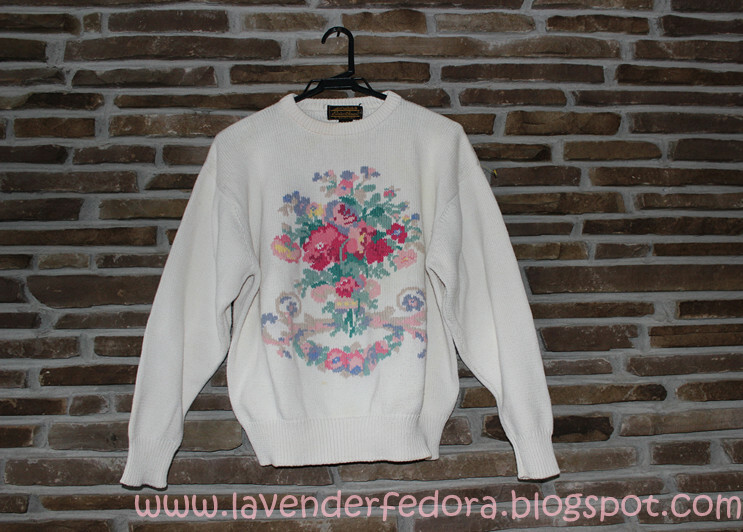 Next, I got another floral baggy sweater. 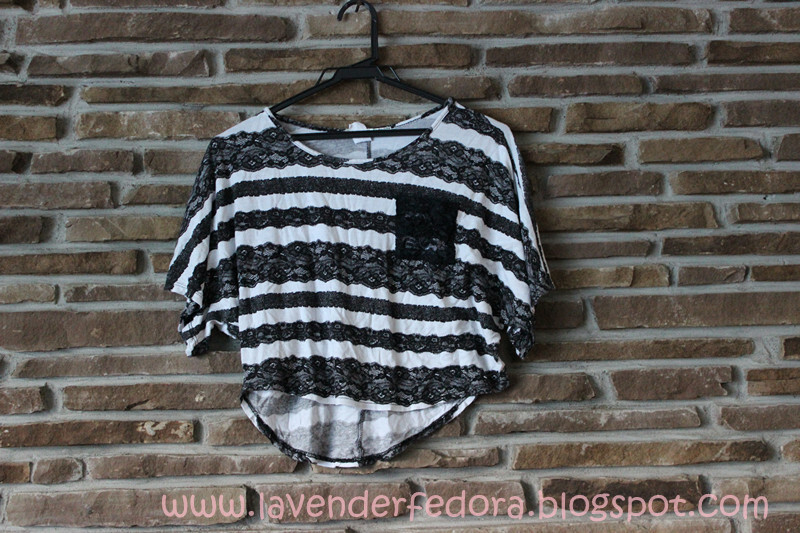 I think you already get an idea of what style I like :P I was so excited when I saw this in the rack. It totally reminds me of 2012 fall/winter baroque trend without the gothic element. 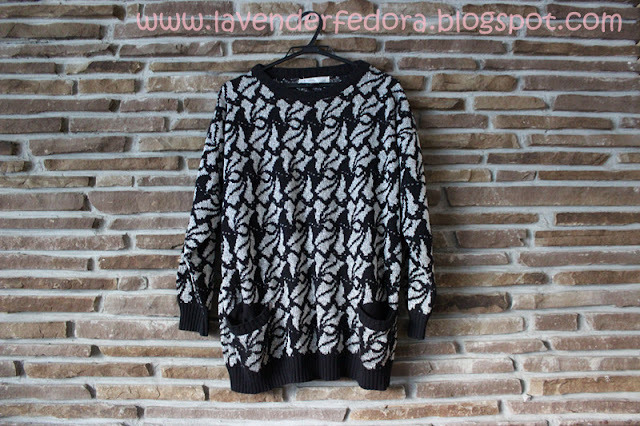 The print is very elegant and sweet, and there’s something about the way it’s knitted, I just think it’s so neat. Again, it’s only around $3! Ok, I promise, this is the last baggy sweater that I got. I definitely have enough sweaters in my wardrobe to last me a winter. This sweater is quite granny and I wasn’t sure if I would like. I tried it on anyways and trust, it look GOOD! I was wearing a pair of leather skinny pants and with the chunky sweater on top, it looks casual and chic! Score! Haha, what a contrast! I got a cropped top on this trip as well. It’s quite a basic shirt and the lacy print is right up my alley. I believe it was only $2.50. Of course I snatched it! 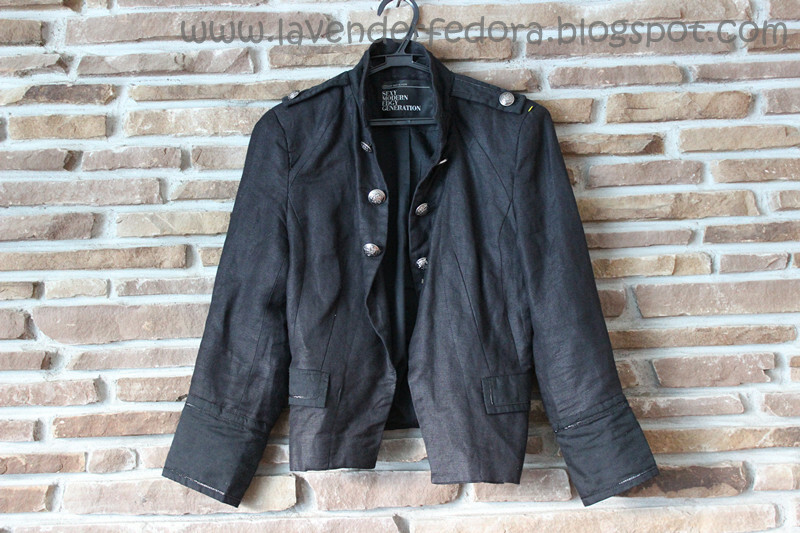 Last but not least, I got this little black jacket. I really like the buttons down the front and on top of that pink shirt, it looks SUPER! 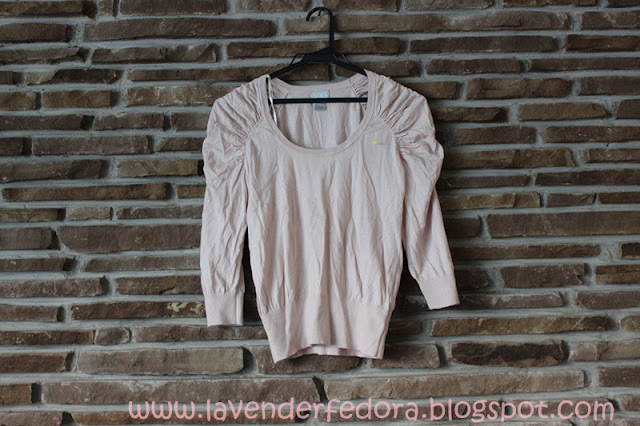 It hugs your figure very nicely and again, a great layering piece indeed! What do you think? Did I talk you into thrift store shopping? I don’t know about you, but being able to dig up cute pieces among piles of old granny clothes is really rewarding. It’s like a treasury hunt! Thanks for stopping by and don’t forget to comment and follow my blog! I went to the one on St. Clair.